Ok these Dinosaurs Look cool and are Properly sized but thats about it. I have to Admit they completely Lack Articulation and it's kinda Disappointing since they are Mattel. Most have no Head movement other than Roarasauurs mouth open and Close and Attack with Carnotaurus. Indoraptor and T-Rex (Rexie) have Articulation. Complete Letdown. I would like to see Mattel do a classic line. 3.75 versions of the Humans from JP, tLW, JPIII, and JW. I'd also like to see Apatosaurus and Brachiosaurus. Last edited by CMIII; 06-04-2018 at 09:37 AM.. I was messing with these at Walmart the other day. I had the Carnotaurus nip at the Dilophosaurus. A little boy, probably 9 or 10, took it upon himself to school me on the dinosaurs - who would eat what, who was extinct before ___ evolved, so-and-so had feathers, etc. Kid had "HAPPINESS" stamped all over his face, getting to finally use all the facts he learned from the discovery channel or something. Couldn't bring myself to ruin it for him by telling him I've been a dinosaur fanatic since I was 3, actually reading kindergarten level dinosaur books at the age of 3. Was fun. Afterwards, I thought, "if it happened in an online forum instead of a Walmart toy aisle, we'd be in a three day long flame war." Really warmed my heart to see dinosaur toys bringing out a kid's confidence and promote imagination and excitement. THAT'S what toys are for! The Book version of Dr. Grant. He loved Kids "It was impossible not to like any group so openly enthusiastic about Dinosaurs." If it gets kids into buying toys over video games then it must be good. I had a Similar experience a kid was torn between the Rex, Carno, and IndoRaptor. He asked who I was after. I said "This guy" and Showed the Herrerasaurus. Nice to hear that some kids are still jazzed about dinosaurs and not whatever BS mobile game is trying to sucker them for money. Looks like I might get my Wish Jurassic World Legacy. I saw only the Original Raptor, Moldune, and Grant and a Multi-Pack. I don't know why but Mattel put Compies with Grant and Moldune. I find it a little Dumb since Grant survives and Moldune gets offed by Raptors. Last edited by CMIII; 08-12-2018 at 04:14 PM..
Makes sense to me, coz compies really wouldn’t sell well as individuals unless green army guys packed. Kinda like the tmnt2012 mousers that shelf warmed coz no one wanted to spend $10 for minimally articulated tiny toys. Last edited by CMIII; 08-13-2018 at 01:11 PM..
Jurassic Park Legacy Lost World. Last edited by CMIII; 08-13-2018 at 03:58 PM..
Really want the last 3 humans we’ve seen packaged - Zia, Maisie, and Malcolm. Maisie is out there, if you can find her. Saw her today at Target. First things first, I love this thread. Although it's true that the dinosaurs all lack the kind of knee joints and ankle tilts and stuff that have spoiled me on modern toys, many of them do have better range of motion than a lot of the previous dinosaur toylines. 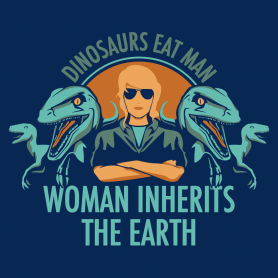 That's why I jumped at the Beasts of the Mesozoic Kickstarter and will gladly partake in their upcoming Ceratopsian line. 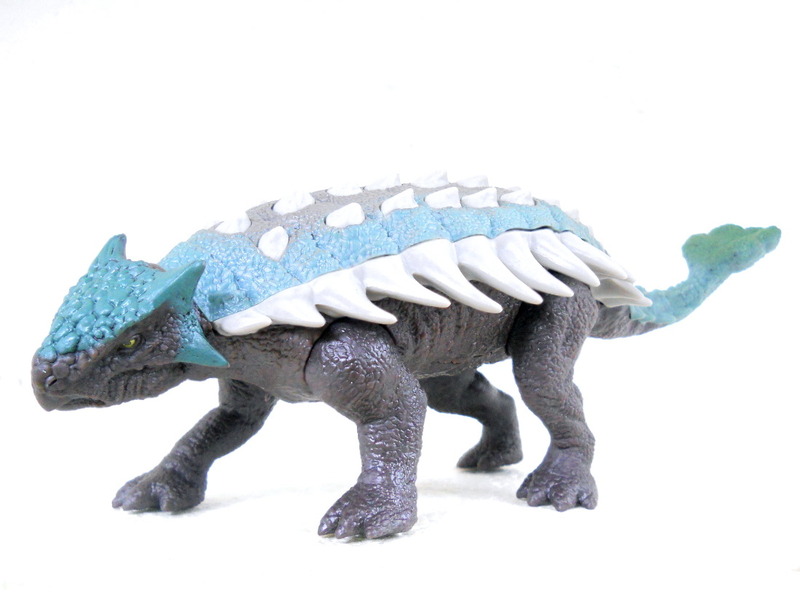 The more recent waves finally hit our shores, so I picked up the Ankylosaur. I guess it depends on your definition of "tough", but I'd debate that Ellie Sattler has already earned the title circa 1993. 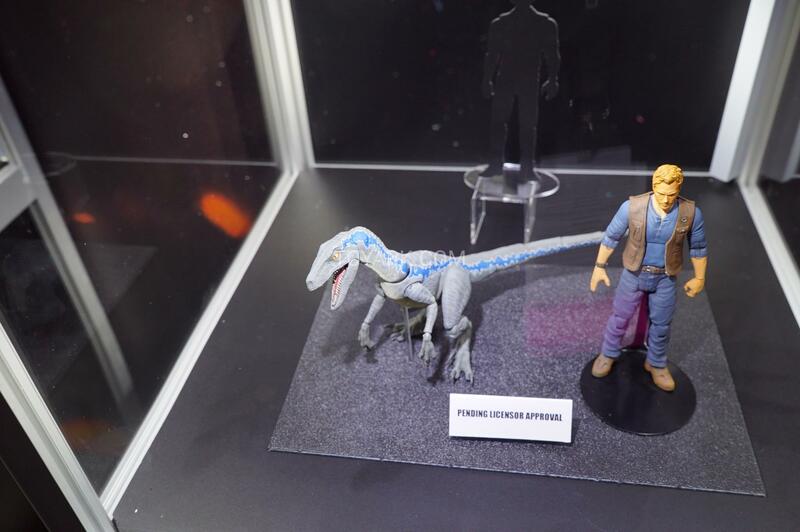 As for Franklin, I believe there was a figure of him in Mattel's Jurassic World display at SDCC. So he's coming eventually. Last edited by CMIII; 08-17-2018 at 03:53 PM.. I saw 2019 Figures 85% Repaints. A total of 6 will be New. There are three Human Dino 2 Packs, One Big Dino and Little Dino two Pack. None of the Humans will be New Grant with White Raptor, Mouldune and the Big One, Owen on a Quad with a Dracorex. I really wish that Had done Roland or Deiter on the Quad. Last edited by CMIII; 12-01-2018 at 08:24 PM..
Mattel has announced plans at SDCC for a super-articulated 6" line of figures for Fall 2019. The first 3 reveals were Owen, Blue, & Ian Malcolm. Last edited by Tomax; 12-02-2018 at 12:29 PM..